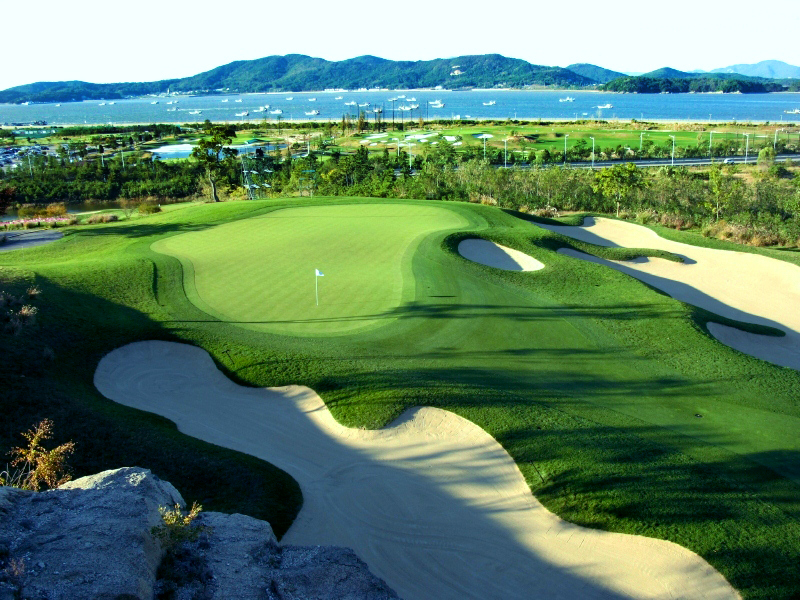 The LPGA’s KEB HanaBank Championship returns Thursday to Nicklaus Design’s stunning layout of the Ocean Course at Sky 72 Golf Club near Seoul, South Korea. This year’s 13th staging of the event makes it the second-longest running Tour event in Asia, trailing only the Mizuno Classic in Japan. A star-studded field will play the award-winning course, including 18 of the top 20 on the Tour’s Official Money List. The event is televised on the Golf Channel from 11:00 p.m. to 3:00 a.m. ET Wednesday, and from 11:30 p.m. to 3:00 a.m. Thursday through Saturday. This week’s field includes Inbee Park, Lydia Ko, Michelle Wie, Anna Nordqvist, So Yeon Ryu, Shanshan Feng, Azahara Munoz, and Chella Choi, all currently ranked within the top-10 standings in the Race to the CME Globe. With a $2 million purse at stake, 2013 KEB HanaBank Championship winner Amy Yang returns to defend her first and only LPGA title. The South Korean became the fourth Rolex First-Time Winner of the 2013 season after defeating fellow compatriot Hee Kyung Seo in a one-hole sudden death playoff. The pair finished regulation play at 9-under on the Ocean Course at Sky72 to take it back to the par-5 18th hole, where Yang carded a birdie to take the win. Feng, ranked No. 8, said, “I know that I liked the course last year, so I’m really looking forward to it.” She set a goal to win three events this season, and seems relaxed heading into the third leg of the Asian swing in Korea, although she has not played well at Sky 72 in her first three appearances at the event—finishing tied for 39th (2012), T-13 (2011) and T-38 (2008). The Ocean Course at Sky 72 is one of four 18-hole courses at the complex, and the only layout at the club created by Nicklaus Design. The Ocean Course, which opened for play in 2007, sits beautifully on top of cliffs along the coastline. The course has hosted the KEB HanaBank Championship since 2008, the same year the layout began its streak of four consecutive years of being honored as the “Best Course in Korea” in the annual Asian Golf Monthly Awards. For more information on the golf course, visit sky72.com.